This is the first in a series about First Suburbs of Southeastern PA. This past Saturday a community gardening project took place at a corner park in the heart of Pottstown’s historically African-American neighborhood. The Washington Street corridor has faced its share of challenges over the years – challenges that many would characterize simply as “urban.” But by all accounts the gardening project was a huge success, bringing together a diverse array of children and adults, members of the broader community, and the energy of two organizations – Citizens for Pottstown’s Revitalization and Preservation Pottstown. At The Mercury, this was news, before and after the event. Two local blogs, Code Blue and Save Pottstown!, promoted it ahead of time. And I certainly was thrilled to blog about it after the fact, thanks to the quick emailing of photos and updates from those in attendance. To me, the fact that there was such a buzz is interesting in and of itself. What did this activity spark in individuals and the community? Can we try to define it, and in the process, become conscious of it, and try to do it again? There are all kinds of metaphors that spring forth from the gardening/growing process that are apt here. But I also think the actual process of growing food and flowers is good and vital… and not for just one neighborhood. Rather, it’s something for all of Pottstown and the school district to consider as a powerful tool for revitalization, which brings me to the First Suburbs Project. According to their website, “The Southeastern Pennsylvania (SEPA) First Suburbs Project is a coalition of community organizations and institutions focused on solving common challenges facing the older, developed suburbs of Bucks, Chester, Delaware, and Montgomery Counties. These communities share conditions of diminishing economic investment, declining infrastructure, struggling school districts, and social services lagging behind the needs of their residents.” Older suburbs and towns, like Pottstown, now find themselves face-to-face with a host of public challenges that were once thought to be the province of larger cities. The (SEPA) First Suburbs Project advocates “state policy changes and regional solutions” as the best way to tackle these common challenges. There will be a regional public meeting of the First Suburbs Project this Thursday, June 10 from 7-8:30 pm at South Hall on the Western Campus of Montgomery County Community College in Pottstown. SEPA First Suburbs coalition members want to hear the concerns, ideas, and questions of area residents, organizations, businesses and government officials about their very real experiences in the kind of environment described above. I’m a firm believer in the potential for regional planning and public policy to mitigate these problems, and I encourage everyone to get to this meeting, speak out, listen and learn more about the possibilities for changing some of the inequities in public policy at the regional, state and even federal levels. On the other hand, Pottstown cannot afford to wait for larger, slow-moving, governmental/political behemoths to change their own deeply-entrenched fiscal and social policies. Pottstown must continue to try to define a new course for itself ASAP… while simultaneously pursuing broader changes with other communities that find themselves in the same boat. And this is where I come back to community gardens. Below is my quick list of what might have made that such a great experience for those who were involved, and why it brings a smile and hope to someone reading about it. Readers should feel free to add to the list. As I’ve blogged before: Community gardens are growing in popularity, especially in places where wholesome foods, such as fresh fruits and vegetables, are not available or are too expensive. Basically, an available lot is divided up among interested residents and/or groups/clubs. Someone who knows something about gardening coordinates and teaches, so that participants end up with a steady flow of food and flowers. Of course, donations of tools, plants, seeds, soil are sought to make it all happen. Community gardens get people outside, get neighbors working together, provide better food at a lower price, raise awareness about nutrition and food production, and put an empty or nuisance lot to good use. During World Wars I and II, Victory Gardens in private yards and public parks were considered one’s patriotic duty to ease pressure on the food supply. 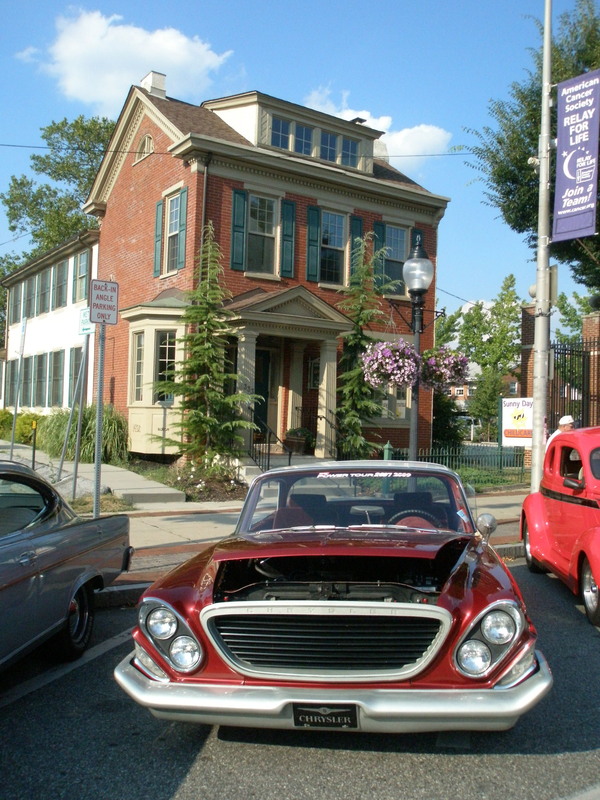 So, what does this have to do with Pottstown’s revitalization on a larger scale? Private gardens were very much a part of my growing up. Just about everyone grew tomatoes. Picking apples and making applesauce were, and still are, an early fall tradition for my mom. These were traditions enjoyed by many immigrant, hard-working families that came to Pottstown to work, raise a family and improve their standard of living. Small-scale gardening is part of Pottstown’s past, and in these fiscally-challenging times, it makes a whole lot of economic sense to think about how to bring it back… but with a modern take. What if Pottstown became known as a place with a strong private and community gardening movement in its neighborhoods and the schools? As a non-resident, I don’t know the extent to which any of the items on the brainstorming list below are possible or already in the works. My inclination is to always just put ideas out there to see if any of them resonate on the ground, where people live. – Seek out several individuals with expertise and enthusiasm to guide smaller, working groups & organizations around town and in the schools. – Get Bud Heller, Director of Food Services for the School District, on the case. Heller is a tireless advocate who has testified before Congress on behalf of the Fresh Food Produce Association and the School Nutrition Organization. – Incorporate student-grown produce into menus? – Is the healthy food program at Edgewood still going strong? Expand to other schools? – Is there a sustainability club in the high school? – Have there been quantifiable efforts to reduce waste – in the cafeteria, paper, lights in classrooms, etc.– that engage the kids? See The Green Cup Challenge, which the Hill School has participated in. Tap The Hill, Montgomery County Community College and the Pottstown Garden Club for advice. So many people and resources right in Pottstown! – Gardening does not have to be expensive; built-in labor pool in schools. Knowledgeable and generous landscapers and suppliers are out there, such as Eric Schmidt of Colonial Gardens, who provided materials for Pottstown’s gardening project. – The Pottstown Health & Wellness Foundation’s grant program and Mission Good Nutrition videos are additional, key local resources. The community gardening concept could be a way for Pottstown – and other First Suburbs – to take a past practice that was sensible and sustainable and re-claim it in a way that will appeal to anyone who wants to live in an engaged, progressive-minded community today. The power of people working together on an activity so basic to human survival should not be underestimated. Last weekend’s project at Washington & Chestnut Streets has given a glimpse of the positive, communal energy in Pottstown that is looking for a meaningful outlet. In a time when so much in the world seems out of our control, gardening can put some kind of power back into the hands of the people. Note: The Pottstown Health & Wellness Foundation’s grant program and Mission Good Nutrition videos are additional, key local resources, which were inadvertently omitted from the original post. Sue Repko is a writer, licensed urban planner in New Jersey and a member of the American Institute of Certified Planners. She grew up in Pottstown and blogs at Positively!Pottstown. Sue what a wonderful web you weave! There are many resources to tap right under our own noses! We hope to see EVERYONE at the First Suburbs Meeting on Thursday!